Initially looking to play in New York, but blocked by the Knicks, the Americans first season was played in a converted armory in Teaneck, New Jersey. The Americans took the floor on October 23rd against the Pittsburgh Pipers in front of 3,000 fans with a group of semi-pro players as a new league known as the American Basketball Association tried to challenge the NBA, for professional basketball superiority. However, the Americans were a huge failure for the league as the team closes to New York drew less than 1,000 fans per game while posting a 36-42 record. Despite their poor record the Americans faced the Kentucky Colonels in a one game playoff to make to qualify for the playoffs. However, the circus left the Teaneck Armory in poor condition and the Colonels were awarded a forfeit win. After a planned move to Newark, New Jersey fell through the team opted to stay at the Long Island Arena for the second year, and changed its name to the New York Nets. The name “Nets” was used because it rhymes with the names of two other professional sports teams that played in the New York metropolitan area at the time: Major League Baseball’s New York Mets and the American Football League’s New York Jets, and because it relates to basketball in general, as it is part of the basket. 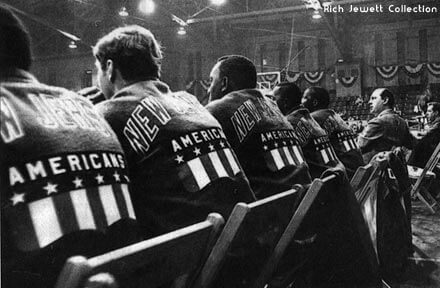 The team was named the New York Americans, and Brown intended for it to play at the 69th Regiment Armory in Manhattan, but pressure from the New York Knicks of the older National Basketball Association (NBA) forced the Armory to back out three months before opening day. Brown found it difficult to find a suitable replacement venue in New York, as some were booked solid, and others had owners who didn't want to anger the Knicks by opening their doors to a rival team. The team was left scrambling for a venue with opening day approaching, and it finally settled on the Teaneck Armory in Teaneck, New Jersey, and changed its team name to the New Jersey Americans, though its franchise name remained the New York Americans. Americans - Named as the All-American team. 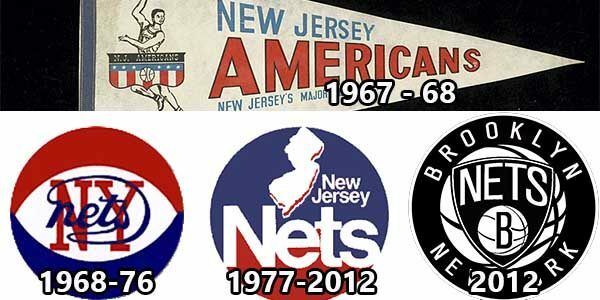 The Americans could of been known as the "American Team," but changed their name to the "Nets" within a years time. Who is the greatest New Jersey Americans? Finally settled on the Teaneck Armory in Teaneck, New Jersey, and changed its team name to the New Jersey Americans, though its franchise name remained the New York Americans.